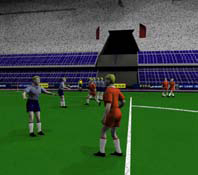 The training resources used a similar aesthetic of video games. This is a case of educational innovation in the training of FIFA's elite referees. It forms part of an ambitious plan of Federation Internationale de Football Association (FIFA) to the professionalisation of refereeing and improving refereeing decisions. Resources have been developed based training interactive possibilities offered by new technologies. Thanks to new technologies have developed educational resources, based on the possibility of interaction. These training resources can be used for self learning and directed learning (with instructor). The aesthetic is similar to that used in video games, increasing the immersion of the referee in the learning process and improving in it. 3) Video test interactive application that combines the learning potential of interactive video and the benefits of the evaluation computer. Resources have been translated into English, French, German and Spanish and is currently working with the Russian, Arabic, Chinese and Portuguese. Also, the six FIFA confederations (CONCACAF, CONMEBOL, UEFA, AFC, CSF y CAF) have decided to participate in the project of adapting their learning resources and extend the project to other sports like futsal and beach soccer. The main resources developed incorporating video, 2D and 3D animations, games, music, phrases and questions. Manuel Armenteros Gallardo, in his doctoral thesis examined the aesthetics of videogames as a key factor to increase the success of interactive multimedia educational resources. This research is the basis of innovation project led by Manuel Armenteros. 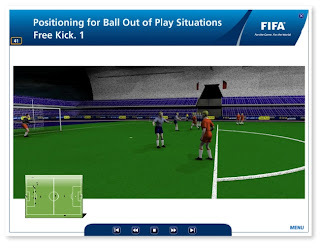 Interactive Guide Rule 11 (offside), was the first project developed for the Department of FIFA referees in 2005, which opened the door to the next project: the Interactive Guide for referees Physical Tests and Assistant Referees. 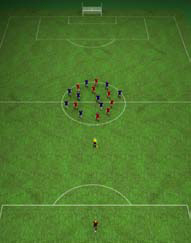 From the year 2006 there is the agreement with FIFA to begin development of interactive multimedia resources for training and improvement of the arbitration. This has resulted in more than twenty university-industry contracts. The impact of this project is very high. In qualitative terms, has allowed the incorporation of new methods and technology resources for training in an environment like the elite referees FIFA. In quantitative terms, FIFA, includes 6 confederations, 207 associations and FIFA is the highest organization for football, which has 250 million players worldwide.